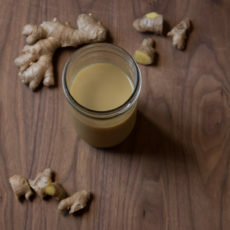 The world does not need another Golden Milk recipe. Or does it? Over a year ago, my mom and I sat in the backseat of a friend’s car shuttling around Mexico City or attempting to, moving at a speed less than a crawl. Her friend passed back a capsule filled with a mustard colored spice–cúrcuma, known in English as turmeric. 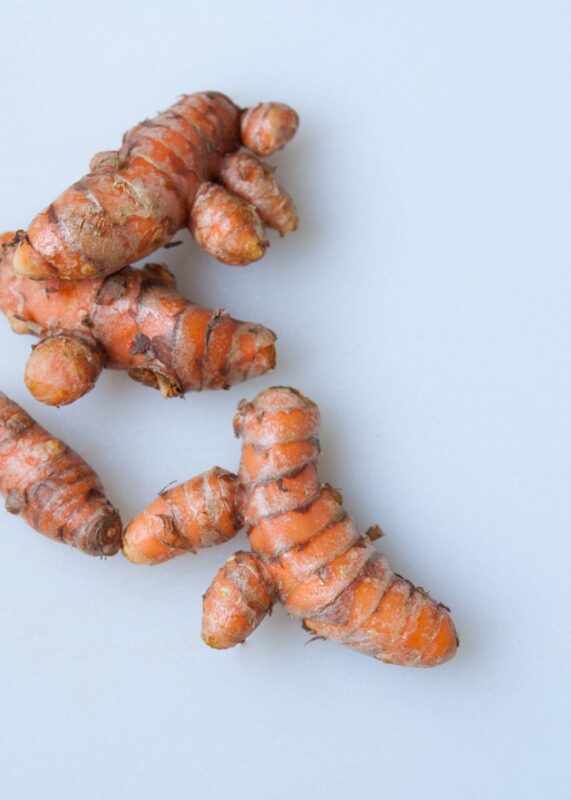 We waded through traffic talking about turmeric, its anti-inflammatory properties, and how each of them could swallow the pill without a lick of water. At the time, I still only thought of turmeric in reference to what gives Indian curry its bright yellow hue. I had elected to take a hiatus from digital media, wanting to be fully present in the sounds, smells, and sights of the rambling city that mystifies me each time. We wound our way past the Zocalo with riot cops marching into formation (they quickly dissipated). In Coyoacan, we ate a favorite street side snack, esquites, happily silencing our conversation with maize kernels and chili. Around 10 p.m. one evening, we parked the car in a neighboring lot to a street-side vendor purported to make the best tacos in Reforma. I didn’t want to miss a minute. Several years ago, the word cancer entered what had started as a mostly casual conversation by phone. Followed by the word surgery. For two weeks, I turned my life inside out to step in as caretaker while the one who had weaned me healed. That word, anti-inflammatory, became a pinnacle word, a walking stick to help me down the mountain. I wonder sometimes how much is appropriate to share in this space on the internet. What is prudent. What is off-color and irrelevant to why you come here. It may be surprising to find an intensely private person wrestle with how much of themselves to put on the page online. 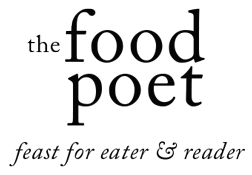 Recently I read a small shift of direction for a blogging friend who had elected to turn her focus away from her personal narrative to only discuss recipes. She had begun feeling like her life had become a commodity. I never know how much to share here. It’s always more than my Dad would have ever felt comfortable sharing and less than my Mexican cousins offer up to the digital ether everyday. The world does not need another Golden Milk recipe, but I wanted to make one for my mom anyway. 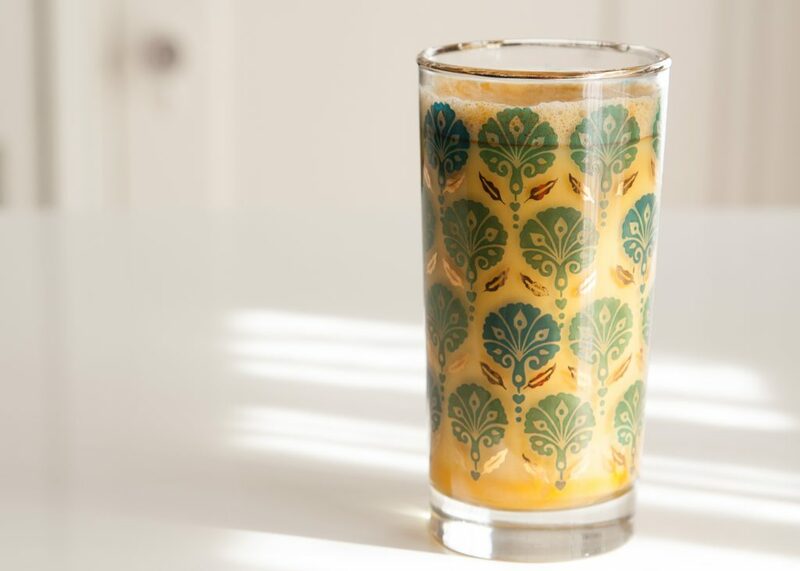 And though I know turmeric is en vogue right now as is its golden girl, golden milk, what warms me to turmeric is that it’s been eaten and stirred into drinks a lot longer than I’ve been alive. Ingredients’ potency lies in their ability to last. 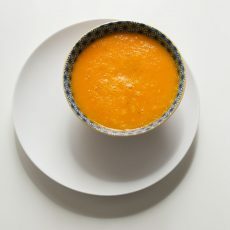 We find comfort that even as the world and its current obsessions change, some recipes are too good to remain secret, and instead get passed down from generation to generation, perhaps tweaked along the way by taste. For this recipe, I started by using ground turmeric but found the consistency chalky, even after blending the drink. I tried cutting down the amount of turmeric, but the drink was not made better for it as I wanted a turmeric-strong drink. 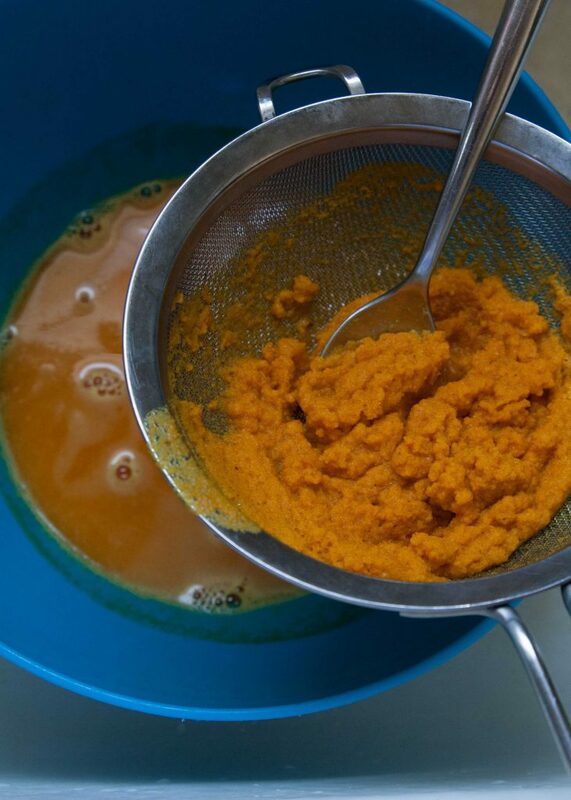 My obsession with ginger juice led me to consider making turmeric juice and that provided the solution I sought. I attempted this drink with coconut milk and cow’s milk, but ended where I started, with unsweetened almond milk. 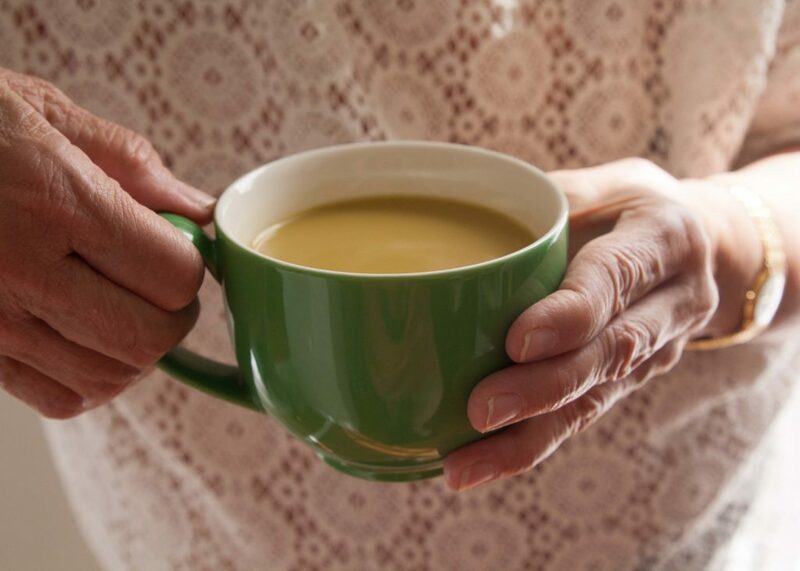 This golden milk is not something to swig, but instead, something to sip. Its spicy flavor owes everything to ginger juice and a touch of freshly ground black pepper for extra heat. 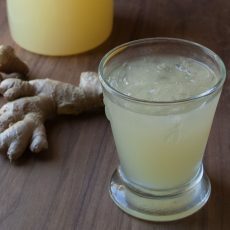 If you keep a jar of ginger juice and another of turmeric juice in the fridge, you have enough for about a week’s worth of daily drinks– and really you wouldn’t want to keep them for longer than that. Who wouldn’t want to wake up to Golden Milk? 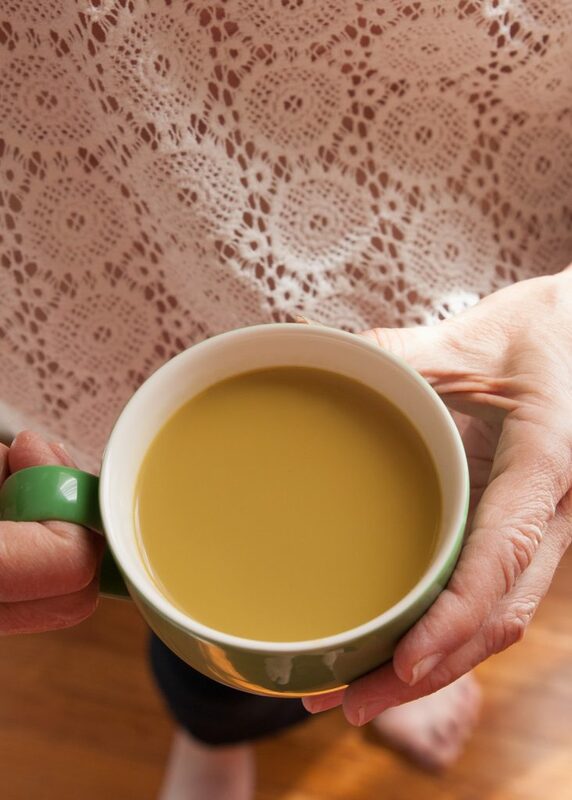 Swap out your morning tea or coffee habit to be surprised how much bounce this cheery drink brings to your days. Heat the milk, ginger juice, turmeric juice, agave, pepper, and cinnamon until warm. Hi Annelies, I found this article interesting and wanted to pass along the exciting results of researchers at UTSW. They have found that only the long pepper grown in India has cancer-killing properties for many types of cancer. They need to determine how to boost its effects in the cell to kill all cancer cells in a patient’s body. As a side comment, the anti-rejection drug given to transplant patients was discovered by a scientist, who would ask all his workers taking vacations to bring him back a soil sample from that region. This lead to the discovery of the chemical from Wisconsin soil. That’s fascinating, Claudette. We still don’t know the full extent of how foods can heal us and it makes me think that variety of what we eat is even more important (from a flavor / color standpoint as well as one of health).